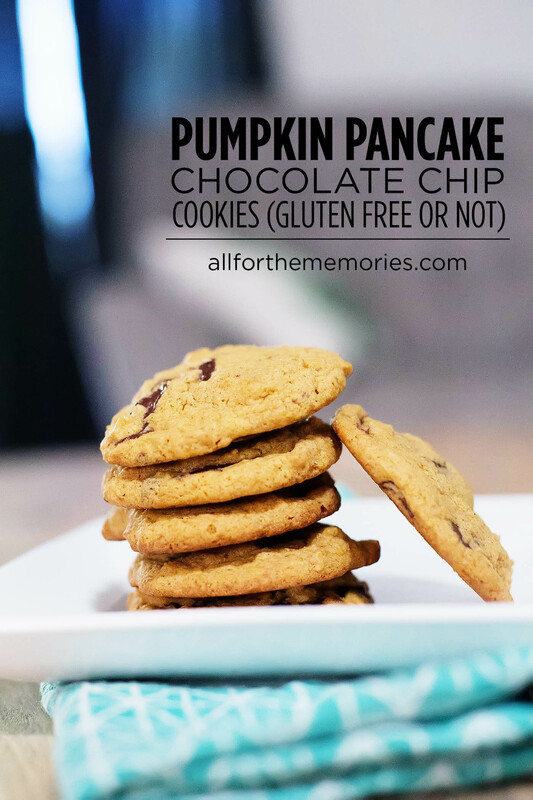 It’s pumpkin season and I stocked up on my favorite gluten free pumpkin pancake mix from Trader Joe’s. 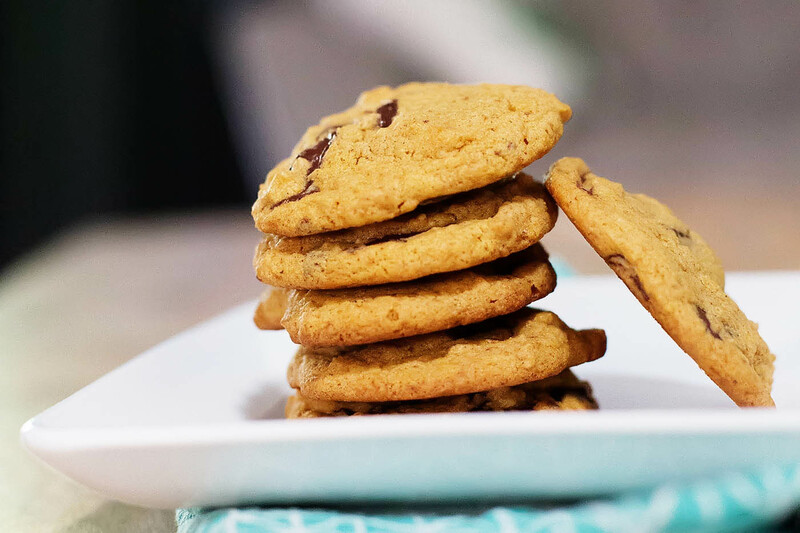 I wondered if we could make something other than pancakes with them and came up with this super easy cookie recipe using the pancake mix! Since I made these yesterday and as I’m typing this all 24 are gone, I’d say it was a success (just ask my brother in law). With just 5 ingredients this recipe is not only delicious it’s super easy too. Using the Trader Joe’s mix I got a great flavor and texture. Let me know if you try this with another pancake mix and how it turns out! 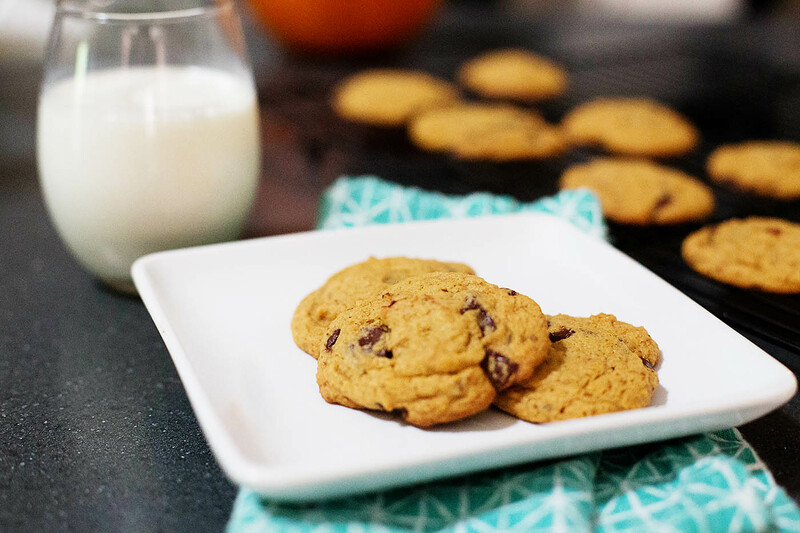 An easy pumpkin cookie using a store bought pancake mix! Stir in pancake mix in batches until combined. 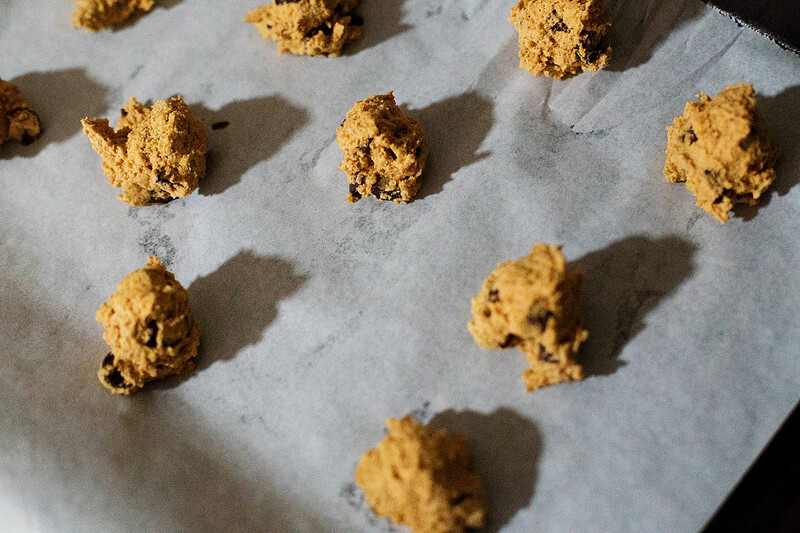 Place by rounded tablespoons full onto a parchment lined baking sheet. Bake for 9-12 minutes until done. 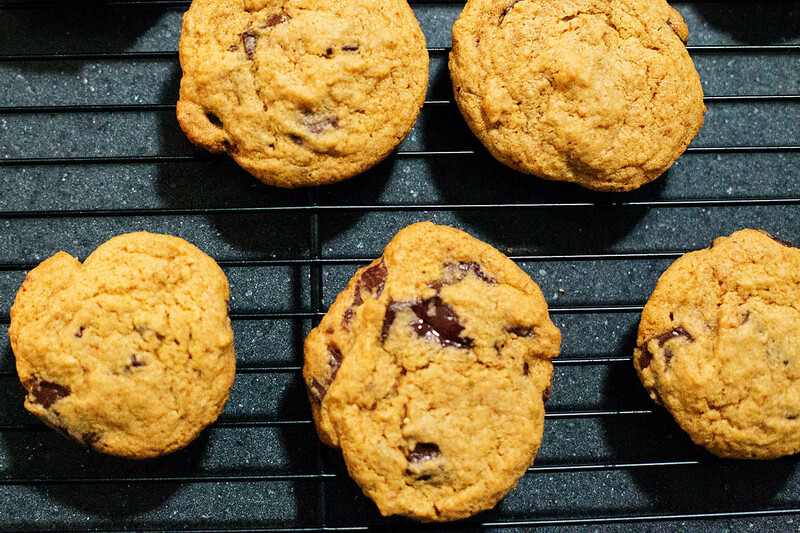 These took just about 9 minutes for me, but adjust accordingly depending on the size of your cookie. I liked these best when they were fully cooled. The flavors came out more than when it was warm. I used coconut sugar for these but use whatever sugar you have on hand! You could probably add a bit more sugar if you wanted an even sweeter cookie but I really liked the balance of this one. I’d love to know if you tried these and how you liked them, especially if you used a different pancake mix than the Trader Joe’s gluten free version. I love pumkin. I am always using pumkin filling for my favorate soup,bread,pies ect. But the cookie reciepe is wonderful. I love cookies and to find a way to use pancake batter other than using it for the basic pancake. These were super easy and so good. I added walnuts because I just love walnuts in my chocolate chip cookies. I’m so happy I found this recipe. Thank you! So glad you loved it! I’ll have to try mine with walnuts too! 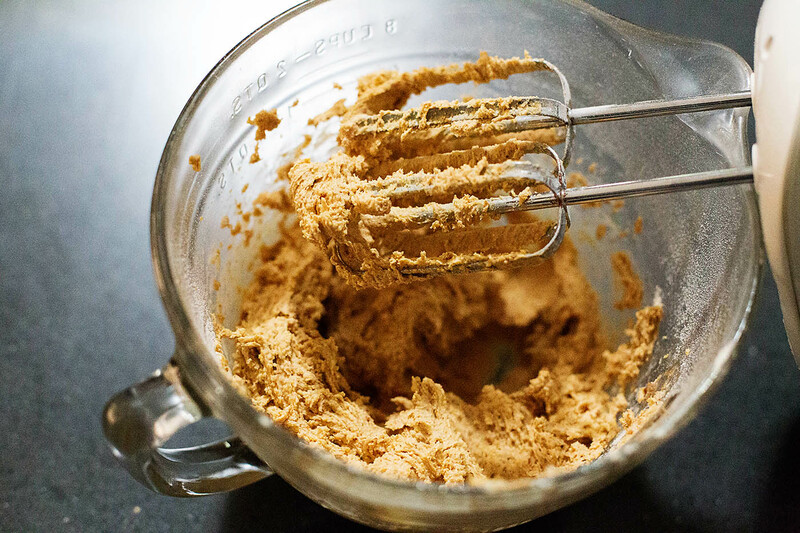 For years I’ve considered using this tasty mix for cookies or pumpkin bread, and your recipe was just what I needed. I had almost 2 cups of mix left in my box, so I added a little water and a tablespoon of oil to even out the moisture. The cookies were delicious, slightly tangy, almost like a snickerdoodle. And so easy! I think they are my new go-to for sending cookies to kids at school. Thank you! You’re so welcome! Yes, they are similar to a snickerdoodle but with just a different touch of flavor. So glad you liked them!